Unless you were living under a rock or distracted in Columbia, SC the weekend of April 16 and 17, you may have seen a somewhat shocking announcement. 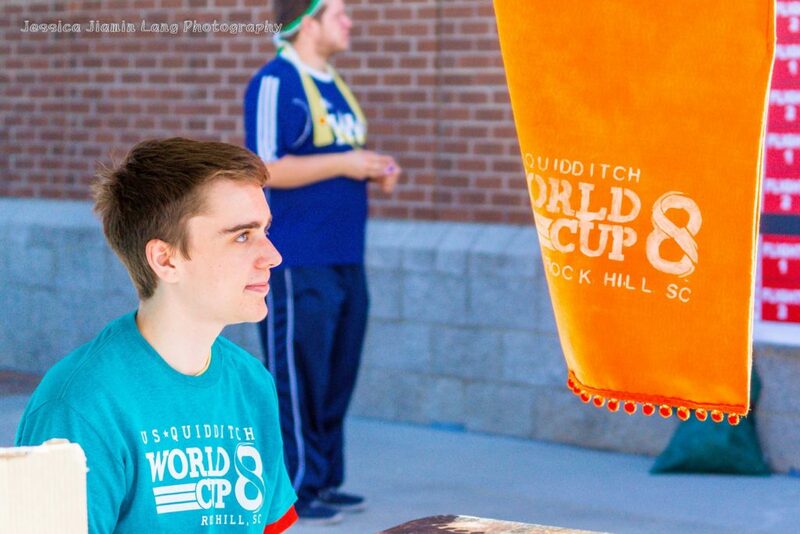 US Quidditch sifted through the large pool of qualified applicants and officially hired a new executive director: me. Okay, that may be a slight fabrication, especially since I don’t fulfill the most important requirement for the job: a residence in Washington. But for editorial purposes, we’re pretending that USQ has handed the keys to its proverbial car to me—and boy, do I have some big changes to make. What would I do? Glad you asked! Over the last couple of years, USQ hasn’t necessarily struggled with public relations problems—rather, it has been absolutely hamstrung by leaks. USQ has been unable to control the spin of any news it wanted to break because by the time it had, the spin had already been controlled. It caused an air of paranoia inside as people tried to track down the source of the leaks, and it seemed like every time USQ had closed a leak, a new source would emerge. USQ’s strategy here always confused me: rather than trying to address the source of the problems, it was treating the symptoms rather than the causes. (And there were two major ones: I’ll address one here and the other in my next point.) By taking a stand of outrage that someone would dare leak this confidential information, all they did was set up an attitude of us versus them. Make no mistake: USQ felt and treated the media like they were an enemy. Consequently, various media outlets—The Eighth Man and Quidditch Post, among them—treated them like an enemy as well. I’m not saying that they went out of their way to try to sow dissent or hurt USQ, but these organizations had nothing to gain by trying to maintain a good relationship with the league. Thus, any time they had any information or a negative opinion to share, there was no reason not to print such. Under my leadership, this changes. I would make a concerted effort to cultivate a relationship with the media, which would likely consist of—at minimum—feeding them certain pieces of information before it is released to the public. However, I would make it very clear to them what is on and off the record. I would also make it crystal clear that early release of off-the-record information is grounds for losing privileged status. I’d be doing what any good economist does: I would ensure incentives are set for people to not mess with me. The second cause for the massive leakage inside of USQ should be obvious: volunteers felt undervalued at USQ, so they felt loyalty to their friends inside the media outweighed loyalty to their league. This manifested in many different ways: volunteers had their jobs randomly destroyed and then reassigned elsewhere (most notably in the folding and mass layoff of state representatives); power was consolidated so salaried employees have overbearing amounts of responsibility and things to do; and the volunteers that are left aren’t trusted with anything of real importance. Consequently, volunteers leave or, if they don’t, they have no loyalty whatsoever toward USQ. This causes several problems. First, the few paid employees become overburdened and have extreme difficulty getting their tasks done. Secondly, it creates an organization with a very small number of points of failure. In real life, components fail. This happens everywhere. What is important in designing a good system—and make no mistake, a company is a system—is ensuring that there is adequate coverage when a system does fail. However, USQ has lined itself with several places with singular points of failure. Former Membership Director Katie Stack spent a solid year consolidating a lot of responsibility and power before ultimately deciding to leave: when she left and stopped doing that work, unless someone picks up that work, it doesn’t get done. USQ has replaced her now with Eric Schnier, but if they had difficulty finding a replacement, this could have been disastrous. Ultimately, I’d be looking to overhaul the entire structure of USQ in how work is assigned and done. I think it’s important enough that it actually deserves its next point. Of all the things USQ has done recently, this is probably the single thing at which they have been worst. Volunteers are not loyal to USQ because they feel like USQ does not trust them to do anything of real value. My job as executive director of USQ is not to plan a phenomenal US Quidditch Cup. My job is not to engage with fledgling teams and help them integrate with USQ and grow. My job as executive director is twofold: to be the public face of USQ and to ensure the ability of the people working under me to have what they need in order to be successful. There were two incidents during my time at USQ where I was most frustrated, and they both stemmed from this general way the company was run. (I served on USQ’s gameplay team from its founding before World Cup V until after World Cup VIII.) 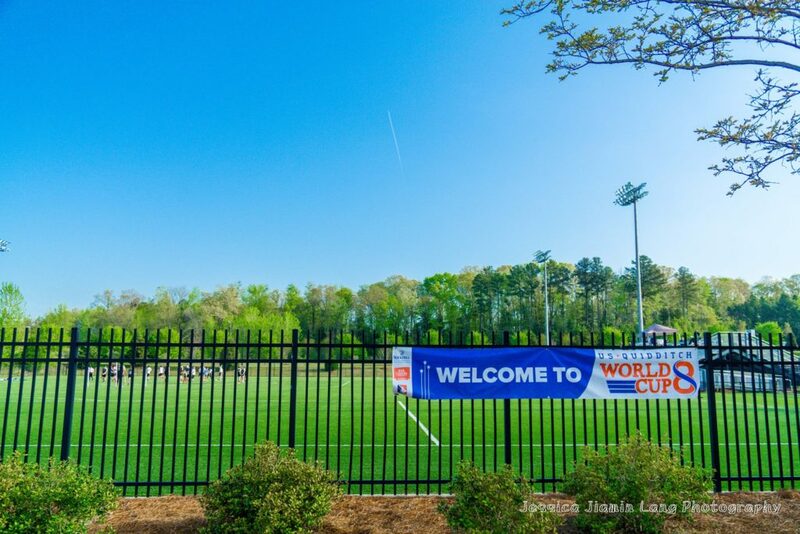 The first one was in the run up to World Cup VI in Kissimmee, Fla.: in an effort to consolidate everything, the IQA had a group it hired specifically to organize World Cup—the World Cup Organizing Team. Included in the people the IQA hired for organizing team was a gameplay team, which was awkward because planning the gameplay for World Cup was about 95 percent of IQA gameplay’s post-regional job. What ensued was a predictable back-and-forth struggle for power with no clear delegation of whose responsibility each task was—as well as a lot of bitterness with both sides feeling like their job was replaced by someone else. The second one was before World Cup VII, where teams were deemed to have used illegal rosters when qualifying for World Cup. The gameplay team reached the logical decision to strip the teams that used illegal rosters of bids. Instead, the decision was overruled by higher management, most of whom had no or next-to-no experience in dealing with actual gameplay issues; because it seemed too mean to strip people’s bids, and instead adopted a punishment of suspending people. It was absolutely frustrating and almost humiliating to have my team’s work debased by people who had no experience with the complicated nuances of these areas. This is exactly how USQ has fostered an atmosphere where its volunteers have so little loyalty to the company itself, because it constantly has told its volunteers they are not trusted and that everything of value should be done by paid employees. This does not foster an atmosphere where people feel empowered to work their best. An astute reader may point out now, “But, Kevin, you’re laying out all these plans that are lower level and would involve you interfering—doesn’t that make you a hypocrite?” And you would be absolutely correct. In the benefit of verbal conciseness, you can assume throughout this article that when I say I would do something that should be the work of a lower-level department, what I really mean is “I would make sure to hire someone to who run this department who shares my vision on these important issues.” After hiring my leaders, my role in doing these things is nothing more than checking in with department heads and making sure our visions still align and, if not, making sure we get ourselves back on track. My job is not and never will be making these decisions myself. I think I’ve been fairly non-controversial so far, but here I may start losing some people. I’m about to take a stand for an issue I feel strongly about. It’s no secret that there is a refereeing problem in quidditch. While the quarterfinals and later were capably staffed at US Quidditch Cup 9 this year, earlier rounds when more teams were playing were dubious at best. This is not a problem that has gotten smaller recently; rather, it’s been steadily getting worse every single year because the number of veteran officials leaving the sport is greater than the number of capable officials ascending or joining the sport. If it had been purely my decision, USQ would have been working with IRDP (now folded into the IQA) two years ago when they formed. Referee training and improvement is a problem, but I think there’s a bigger problem: why would a sane person want to be a referee? Well, for one, there’s the payment of $20 a game. If you think the average quidditch game lasts 20 minutes, that clocks in at a solid $60 an hour. Looking a little closer, though. This number doesn’t hold up. For every head referee making $20 a game, there are two beater referees, two goal referees and a snitch referee making nothing. If you average all those out, that figure drops to a minimum wage-like $10 an hour. Obviously the best referees get head referee assignments more frequently than one in every six games, but most will cap out around one in every three, which brings their hourly wage to a respectable, but not great, $20 an hour. But even for the best referees, the other five referees are massively important—ask any veteran referee how well they can officiate with a terrible set of assistant referees—and not having capable people willing to field those spots is hugely problematic. Also, any consideration of the hourly wages has to take into account that there is no way to make more than a few hours a week of this reliably. Of course, any analysis of the perks of refereeing cannot ignore the most important benefit: the wonderful closeness of the quidditch community. In the quidditch community, you make friends across teams and across regions. And, if you referee them, you get the amazing side benefit of publicly watching your friends and anyone with an opinion absolutely ripping into your refereeing for which you got paid (maybe) minimum wage. 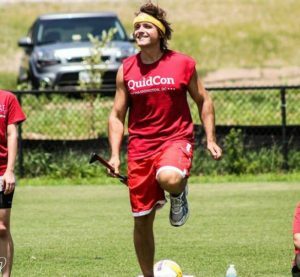 It’s no secret that the quidditch community is insulated, which can be quite good. But in this case, it makes it even more difficult to be a referee. It’s natural to lash out at a call you disagree with at the moment, and it’s important as a referee to develop thick skin so you can ignore most of these comments. But the degree to which you need to in this community is honestly insane. These reactions range from potentially understandable—such as people being upset after University of South Florida’s Blain Falone was suspended for five games for conduct against referees that involved no physical contact—to the offensive. (While goal reffing the finals of World Cup VI, I had a player openly berate me for 20 minutes straight during a game he had no stake in while sitting next to his teammates.) And then, of course, there are those absolutely, insanely, indefensible ones—South Florida’s public attack campaign against Evan Bell after World Cup VIII. The simple fact is, as a referee, if you make a contested call and you are involved in the community, it is impossible to avoid very personal and very harsh things said about you. You can learn to ignore them and thicken your skin, but I honestly have to ask: why should a referee have to? We need referees right now, and events like this actively stop people from wanting to referee. What we need to do is up the incentives for refereeing. And since I feel like people would be against upping the positive incentives—since the idea of paying referees more or paying assistant referees seems to be particularly galling for people—then we need to cut the negative incentives. And so I have to ask: maybe it seems unfair to penalize someone for just cursing out a referee. Maybe it seems unfair to punish someone for making harsh comments publicly on their Facebook. But we’re in a refereeing crisis. Are we really going to end up defending the side that says it’s okay to treat volunteers like garbage? I have given USQ a lot of criticism in this article for the way they have handled things, so let me be very frank about one thing I’ve thought it, under Alex Benepe, did spectacularly: USQ’s leader was phenomenally accessible. His social media presence, at least as it pertained to quidditch, was fantastic. He was never trolling in Facebook threads, but he was around enough to make people feel like they could connect with him. This gave Benepe a ton of good will from the community, and he was able to leverage it in spades to make people give more trust to the IQA and USQ than they may have otherwise. The league has missed that presence greatly, particularly with Donte Quinine’s unexpected departure. I said previously: the quidditch community is inextricably linked to social media. If I want to make sure I remain connected to the public, I need to leverage that. Similar to the last point, one of the most common complaints that is leveraged at USQ is that its decisions are made with no transparency. Against popular opinion, I don’t actually think this is USQ’s problem—I think people only get upset about this when they tend to not like the decisions that were made, and they would get upset about this regardless of whether the transparency was there. But I definitely think the appearing lack of transparency is a huge problem. I’m not sure if people are generally familiar with the concept of an ombudsman, but to try to quickly define it, an ombudsman is essentially someone who works as a third party—not technically an employee that can be fired by the organization whose job is to act as an investigator for complaints that are leveled against the company. They have access to inside information, and they can address to the public “here is what went on in this decision.” It can be as simple as “the company goofed” or much more complex than that. For a good idea, feel free to look at ESPN’s ombudsman’s retrospective on the decision to kill Grantland. I don’t necessarily think that having an ombudsman will instantly fix these problems, but I think it will help a lot to make people feel in the know. Because this suggestion is so easily implemented—unlike many of my other proposals—I’ll even float a name. Even though she’s on the board for USQ now, I think Kara Levis would do an absolutely killer job as an ombudsman for USQ. 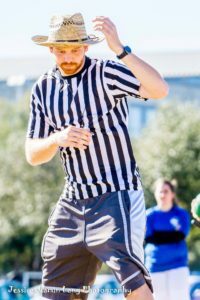 This isn’t a major issue in the public eye yet, but it’s one of those hidden things in quidditch that could turn nasty really quickly: a pretty disproportionate amount of the volunteers of referees and snitches come from a surprisingly small number of teams. If even a few of those teams stopped prioritizing their development in those programs, we could see an even more drastic shift in the workload, which will help drive even more people out—especially since trying to play and volunteer at tournaments, particularly hugely intense tournaments, is absolutely draining. I don’t want to let this become a bigger issue. Whether the answer is something like Tad Walter’s Tiddly System or maybe just more stringent requirements for referee certifications. (A potential requirement for larger numbers of full certifications for head referees? Possibly even require some number of refereed games from those members?) Like I said earlier, overreaching my bounds and deciding on this policy isn’t my job. But recognizing this problem is important, and making sure we stay ahead of it is vital. Regional championships and the US Quidditch Cup are our headlining events. We need to own them and make the betterment of them a priority. I think this is the most important point, so I’ve saved it for last. Not to beat a horse that has long since died, but from a competitive perspective, the 2016 Northwest Regional Championship was a joke. I don’t think the teams in the tournament or the staff did anything surprising—rather, I’m picking on this tournament because it is a culmination of a lot of things that I think USQ has been doing wrong in its prioritization. Namely, USQ is stretched far too thin for its current manpower. I want, instead, for USQ to be focused and clear about its mission. Namely, its mission to put on superlative regional and national championships to the best of its ability. Expansion and development of teams? Gone. Consolation Cup? Not my department. Referee training? Hello, IRDP. That is not to say that none of these things are important: on the contrary, I think all three of those things are critically and vitally important for various aspects of quidditch. But if you were to distill the one thing USQ does that nobody else can provide a similar experience to, it would be the nationwide tournament and all of the infrastructure that springs up around it. I’d be focusing the employees I have on that. I’d make sure that location bidding is done professionally and as well as possible, making it less likely that we end up with a regional championship with fields that become literally unplayable due to weather or force every team to travel to the southern region for four straight years. I’d make it clear what sort of teams should be trying to become USQ official—those that wish to compete at US Quidditch Cup. This has several positive effects: the Northwest did a phenomenal job of galvanizing its region to register official teams that honestly should not have been competing. Anyone can throw a tournament that can bring together teams across its region. (Tree City in Boise, Idaho was a phenomenally run tournament for this, as was Bat City in Austin, Texas.) The limited resources of USQ should be saved for what USQ does best. As we consolidate our resources and improve on what we deliver, we can slowly expand USQ back out, but the key here is to only do what we are confident we can deliver well. Make people get used to USQ delivering excellent products, and the value of the USQ brand increases. At that point, it becomes much safer to devote some USQ resources to team growth or a more active, thriving Division II. Obviously none of these points—or, honestly, all of these points in combination—are not a magic bullet which will suddenly cure all of the problems in quidditch. But I think it’s time for USQ to take a good, long look in the mirror and admit the faults it has made and find real, tangible solutions to improve them. 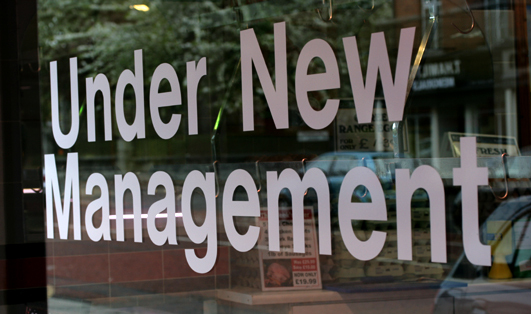 There is no better time for this than the appointment of a new executive director.